I, on the other hand, as a trained nuisance wildlife removal specialist and snake handler in Orlando, when called upon to remove such a snake from the playground of a school (of all places!) where it was lurking, and in possession of the correct equipment, including an extendable snake sack, am qualified to handle this snake. There aren't many Orlando rattlesnakes. Most rattlers need undeveloped area in which to thrive. 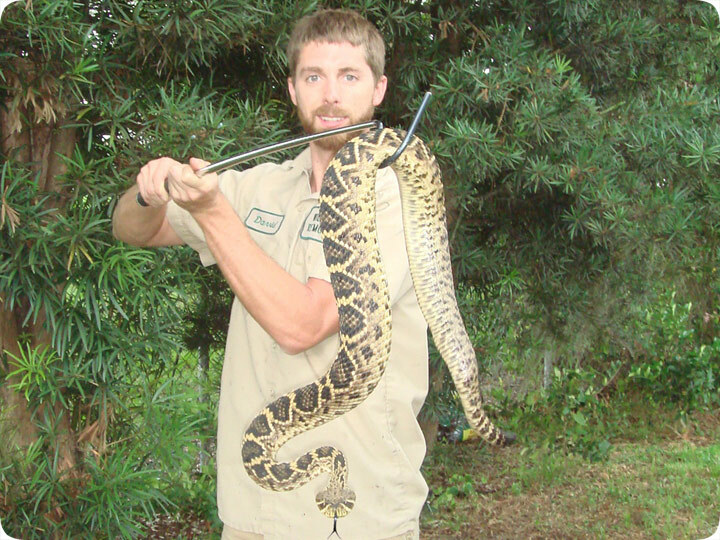 The pigmy rattler isn't lethal, but the above snake, an Eastern Diamondback, most definitely is. One other thing about this snake - the rattle on the tail was broken off, so it could not give off its traditional warning sound. But the appearance of this snake alone - fat, very wide head, and distinct diamonds on its back, should be enough for most people to suspect that this is a do-not-touch variety of snake.